Dr. Christopher Emmett started out as an academic musician, studying music at The Queen’s College, Oxford for his first degree and masters, before moving to Leeds to take up the post of University Research Scholar and complete his Ph.D on music aesthetics. After this he returned to practical musicianship, receiving lessons from the LSO player Louise Miliband, and spent six years working as a violin teacher and playing semi-professionally, before deciding to retrain as a luthier at the world renowned Newark School of Violin Making. 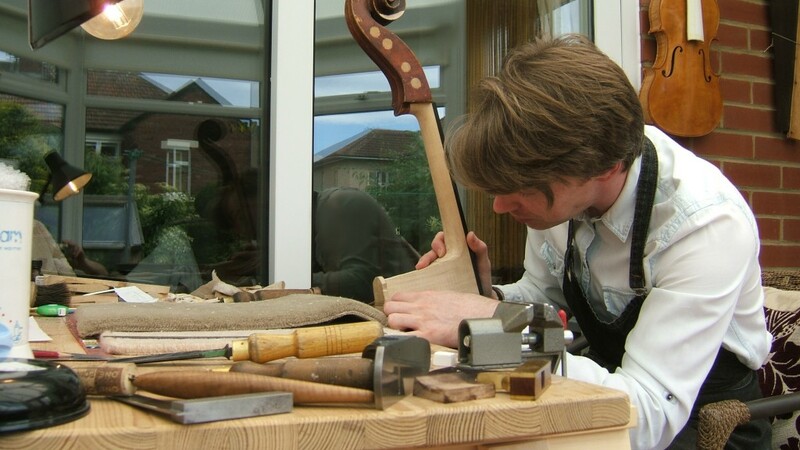 Here he completed both the advanced courses in instrument making and in repair and restoration, studying under the makers Paul Harrild and Patrick Jowett and expert restorers such as W.E. Hills alumni Paul Gosling and Bharat Khandekar. 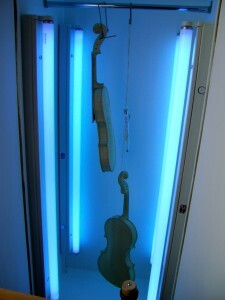 He passed the Beares adjudicated test in violin making with Merit, achieving the highest mark by any British maker of his year group, and was awarded the Hiscox prize for his abilities. 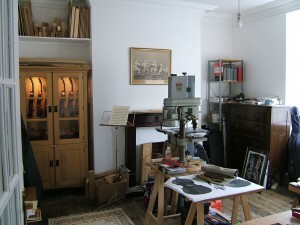 Since then he has spent time working in London and in Hexham, before establishing the workshop in South Shields in 2013.